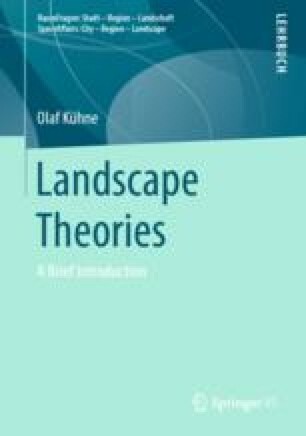 The issue of landscape is of current interest, not only in science, but also in politics, economics, and civil society. As a result of rapidly occurring social transformation processes and the resulting changes in the demands placed on spaces (whether materially conceived or as social or individual constructions), traditional landscape interpretations are also challenged. Relavent examples being changes as outcomes of the expansion of regenerative energies, infrastructure projects, the extraction of raw materials, the expansion of settlements, the restructuring of settlements, etc.